Brand new LGI Homes’ house for sale in Houston, Texas with 3 beds and 2.5 baths. 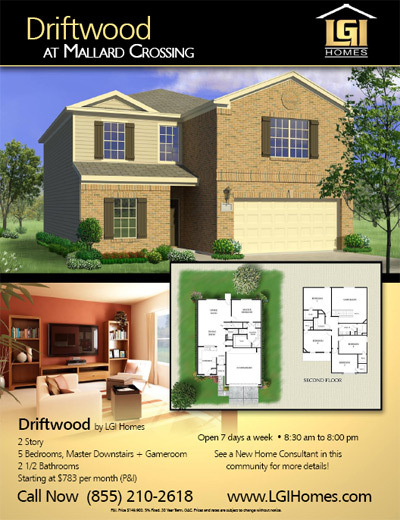 Floorplan features: The Cottonwood floorplan is a two-story home featuring almost 1,800 square feet of living space. The upstairs features two bedrooms that share a full bath, and the master bedroom which includes his-and-her walk-in closets and a master bath with an additional closet, garden tub and separate shower. Downstairs is the formal dining room, located just off of the entry, and a utility room conveniently placed away from the kitchen and next to a half-bath for guests. The two-car garage offers easy entry into the home—great for unloading groceries, sports equipment and kids. The kitchen features quality appliances including a new refrigerator, upgraded cabinets and breakfast nook to share your mornings with family. 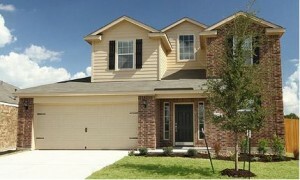 About West Meadows: Located in Greater Houston, West Meadows in Baytown is one of LGI Homes’ featured communities. Here, buyers will find large landscaped lots, and homes with fully-fenced backyards, quality appliances, fixtures, and cabinets, and thousands of dollars in upgrades included at no cost to the buyer. This child-friendly community includes a playground at the neighborhood park and walking trails. Good schools, close to employment centers, entertainment, sports, restaurants and shopping—West Meadows is a great place to come home to! Brand new LGI Homes’ house for sale in Houston, Texas with 3-5 beds and 2-2.5 baths. Community features: West Meadows offers family-friendly, affordable new homes, all conveniently located near downtown Houston. Outstanding amenities and quality workmanship in each new home makes buying in this community an easy decision for new homebuyers. Households seeking a new home near everything—good schools, entertainment, fine restaurants, sporting activities, and numerous opportunities for employment and higher education—need look no further. Enjoy tranquility away from the hubbub of downtown while enjoying close proximity to everything! Home features: West Meadows features four different models, with 3, 4, and 5 bedroom homes that include $10,000 worth of designer upgrades. Quality kitchen appliances, granite countertops, top quality brushed-nickel fixtures and cabinet hardware, a new refrigerator, are just some of the pluses found in each home. The floorplans include 2-2.5 baths, and both single and two-story homes are available. 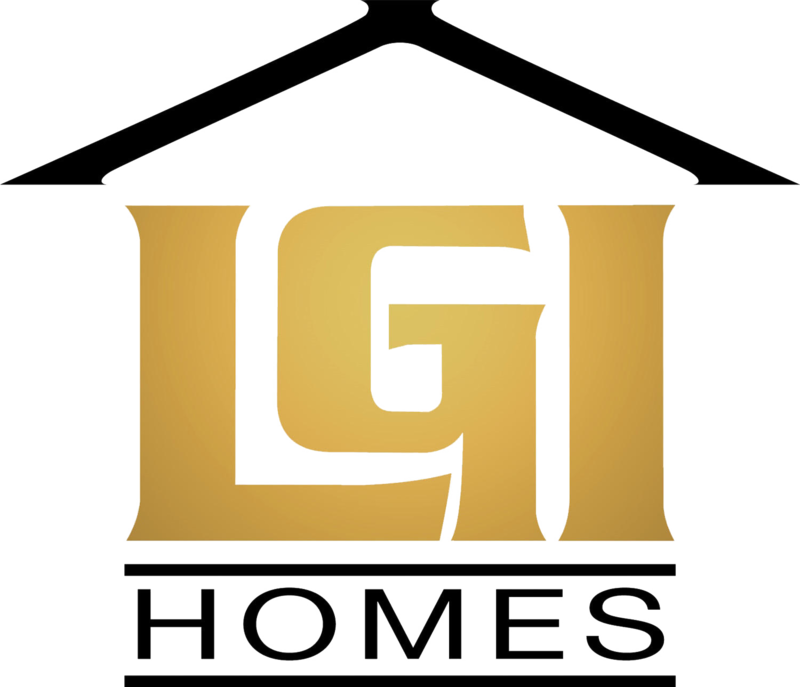 Thoughtful touches like fully-landscaped front yards, fenced backyards, rounded wall corners, vaulted ceilings, and quality deed restrictions reflect the guaranteed quality offered by LGI Homes. With floorplans starting from only $679 per, this stellar community is affordable for couples, families or retirees. New 3-bed Home in Houston, Texas Starting at Just $741 per Month! Floorplan features: The Colorado updates the traditional two-story home layout, with a contemporary feel perfect for today’s lifestyles. From the large family room on the first floor (a natural place for family and friends to gather), to the expanded master suite on the second floor, there’s a spot in this spacious home for everyone to enjoy. The master bath includes a separate shower and soaker tub, large vanity counter, and a huge walk-in closet. Guests enjoy a convenient powder room located in the home’s welcoming foyer! 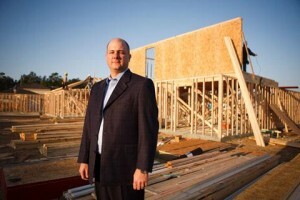 About Sunrise Meadow: Looking to live near Texas’ adored Sugar Land, and the new Grand Parkway? Sunrise Meadow offers a beautiful, affordable and family-friendly community just minutes from these popular destinations, along with a number of neighborhood amenities that the whole family can enjoy. Stroll Sunrise Meadow’s landscaped walking trails, enjoy the neighborhood park, or fish on the 3-acre community lake! Once the day’s activity is done, you can then retreat into your very own brand-new home, built complete with thousands of dollars in designer upgrades, included at absolutely no cost to the buyer. These homes are located on oversized, landscaped lots, with fully-fenced backyards—the feel of an established community with the convenience and security of a brand new home. Location, quality construction, excellent customer service and gorgeous, affordable homes—welcome home to Sunrise Meadow! New 5-bed Home in Houston – Under $800 per Month! Brand new LGI Homes’ house for sale in Houston, Texas with 5 beds and 2.5 baths. This new home from LGI features 5 bedrooms and 2.5 bathrooms all for under $800 per month. Floorplan features: The Driftwood is a spacious plan that offers plenty of room, privacy and convenience for larger households. With five full bedrooms, even smaller families may enjoy the added benefit of a home study, office or hobby room! The downstairs master suite gives owners the ultimate in privacy and serenity, while the four upstairs bedrooms enjoy easy access to the floor’s oversized gaming room—easily the second heart of the home. The main heart of the home—the living and dining areas—flow together to create an open but warm living space toward the rear of the home. About Mallard Crossing: Looking for quality, affordable homes in a desirable setting, close to area dining, shopping and employment venues? Look no further than Mallard Crossing, LGI Homes’ premier new homes community in Northwest Houston. Each 3-5 bedroom home comes with over $10,000 in designer upgrades included at no additional cost to the buyer, and every lot is oversized, with fully-fenced backyards and front-yard landscaping included. Community amenities include a neighborhood park, walking trails and a beautiful stone entry-way that marks your arrival home. With touches of luxury (like interior custom cabinetry), as well as practical convenience (like our 10-year structural warranty), Mallard Crossing offers everything that the discriminating buyer is searching for, right where they want to live. Stop by Mallard Crossing today, and see for yourself! LGI Homes New Year Sales Event, $5,000 off All New Homes at Sunrise Meadow – THIS WEEKEND ONLY! Wouldn’t it be great to start off the New Year living in a brand new LGI Home in Sunrise Meadow? Don’t spend another year wasting money on rent. This weekend only at the LGI Homes New Year Sales Event, Sunrise Meadow is offering $5,000 off all homes. With $5,000 off, No Down Payment Required, and interest rates at historic 52 year lows, there has never been a better time to buy the home of your dreams. 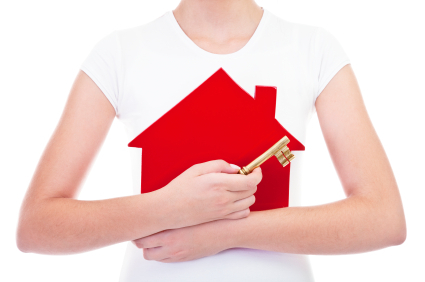 If homeownership is not one of your 2011 New Year’s Resolutions it should be. This is the year to stop wasting money on rent! Take the first step towards ownership; call today and set an appointment to attend the LGI Homes New Year Sales Event this weekend only. The LGI Homes Information Center at Sunrise Meadow will be open from 8:00am to 8:00pm on New Year’s Day. 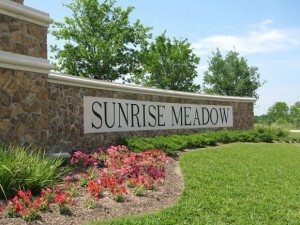 Stop by to see the exciting new floor plans LGI Homes is now offering at Sunrise Meadow. You won’t want to miss this; I can give you 5,000 reasons why. Start Off 2011 Living in a Brand New House by LGI Homes! Wouldn’t it be great to start off the new year living in a brand new house by LGI Homes? Don’t spend another year wasting money on rent. With $5,000 OFF all homes and interest rates at historic 52 year lows, there has never been a better time to buy the home of your dreams at Sunrise Meadow. As an added bonus you won’t have to make a payment until February 2011! Sunrise Meadow offers 100% financing with USDA backed-loans. There are only 10 homes left that can close by December 31, 2010! Call us now to speak with a new home consultant for more information about how you could be one step closer to fulfilling your dream of home ownership in 2010.